Manual Stagars is creating a Swiss FinTech documentary and talked to Luzius Meisser about the blockchain and opportunities for Switzerland. Together with 23 co-signatories from all major parties, Swiss member of parliament Franz Grüter filed a parliamentary motion to reduce regulatory burdens of blockchain startups by restricting the legal definition of "client deposit". Today, firms that handle client money - regardless of whether in Swiss Francs, Bitcoin, or any other currency - get very quickly classified as banks, even if their risk profile fundamentally differs from that of typical banks. Being classified as a bank comes with regulatory and capital requirements that are practically impossible to fulfill for startups. That might be the primary reason why there is not a single operationally active cryptocurrency exchange in the style of bitstamp or bitfinex in Switzerland despite having an otherwise lively ecosystem of crypto startups. Luzius Meisser, founder of Bitcoin Association Switzerland comments: "This motion is a strong signal to blockchain startups all around the world that the Swiss parliament wants Switzerland to be at the forefront of fintech innovation." The main part of the motion states (translation): "The federal council shall be instructed to define the term "client deposit" from banking bill art.1 and the banking act art. 2 more narrowly, to the extent risk allows. The current broad interpretation by financial regulator Finma obstructs innovative blockchain startups whose business models get qualified as banking even in cases where the intention behind the law - namely depositor protection - would not require such a qualification." The full version (in German) can be found on the Website of the parliamentary group for digital sustainability. Franz Grüter comments in Zentralschweiz am Sonntag that he wants to prevent Finma from trampling the seedlings of a promising new ecosystem with the boots of bureaucracy. Andreas Glarner from law firm MME emphasizes the importance of creating a free, yet carefully regulated, environment in order to continue attracting blockchain startups from all over the world. Switzerland is already well positioned with initiatives like the Cryptovalley in Zug, a city that recently made international headlines by deciding to accept Bitcoin payments. As a next step, the parliament will vote on the motion. However, the vote has not been scheduled yet and can happen in the autumn session the earliest. Having a citizen legislature, the Swiss parliament meets less often than that of other countries. (As a nice side-effect, it also tends to make fewer and more concise laws.) If passed, it would be up to the federal council to take concrete measures, some of which might again be voted on in parliament. In practice, the motion might already have am indirect positive impact today by sending a strong signal to the Swiss financial markets regulator Finma - which is explicitely mentioned in the motion - to interpret the existing rules less restrictively. The Bitcoin Assocation is invited to hold a talk about Bitcoin about twice per month at average. Here is a picture of one of the more notable events with 300 registered participants. The Swiss newspaper Tagesanzeiger published a whole-page interview with me on Bitcoin. In a report published today, the Swiss government answers questions raised in two parliamentary postulates. The report concludes that Bitcoin is covered by existing laws and that no new regulation is needed. This is excellent news and in full accordance with our views. Furthermore, the report confirms that Bitcoins are neither a good nor a service - which is relevant when deciding whether VAT applies when selling Bitcoins (it should not). Furthermore, the report says that the only thing Bitcoin currently lacks to be money like other currencies is low volatility. As volatility is decreasing, is should thus only be a matter of time until Bitcoin officially gets the legal status of "money". A side remark regarding miners: On question the report leaves unanswered is whether miners should be classified as financial intermediaries. Probably, the federal council sees this as a detail to be left to FINMA. In our view, miners do not require such a license because miners never take possession of the Bitcoins they process. So unlike with banks, there is no risk of embezzlement and thus no necessity to protect consumers from that. Also note that technically, most miners do not process transactions - it is the mining pool that does that for them. Instead, miners should be legally seen as someone selling computing power to a mining pool. The enormous computing power of the GHash.IO pool sparked another debate about 51%-attacks. Pools with such a large share of the total hash rate threaten Bitcoin's decentralized nature and make Bitcoin depend on the benevolence of the dominating pool - in this case GHash.IO. Obviously, it is not in the self-interest of miners to all mine in the same pool, as it undermines Bitcoins value. When asked, why they do so anyway, one frequent answer is "luck smoothing". In this post, I want to dispel this argument. The following table was obtained through a Monte-Carlo simulation and shows the variance of mining returns as a function of pool size. For example, when mining in a pool that controls 50% of the computing power, you can expect a daily variance in returns of 0.6% and a monthly variance of 0.03%. Thus, you will get very smooth returns as good luck and bad luck are in balance. Should you decide to mine in a pool that only controls 3% of the total hash rate, you will see daily fluctuations as high as 20%. In other words: when you earn 1 Bitcoin per day at average, you will often see returns below 0.8 Bitcoins or above 1.2 Bitcoin - but it can also get as low as 0 if the pool is very unlucky that day. However, when looking at the variance at a monthly level, daily fluctuations tend to cancel each other, leading to a monthly variance of 0.68%. Let's compare this to the variance of Bitcoin prices. Unlike the variance of mining returns which gets smaller when looking at longer periods, the variance of the exchange rate goes up. The reason for this is that mining returns do not depend on the returns of the previous day (i.e. they follow an AR(0) process), whereas today's price builds on yesterday's price such that changes add up over time. Thus, when looking at daily returns, mining in a 25% pool adds fluctuations of 2.4% and price changes account for another 2.2% - givnig you 4.6% in total. However, the time horizon of a miner is not (and should not be) a mere day. Electricity bills come in monthly and obtaining new hardware is a process that spans over many months. Therefore, a more realistic timeframe to look at is one month. And here, the variance of the exchange rate dwarfs the variance of mining returns. When mining in the largest pool, you will get a total variance of 49.03% in USD terms. When mining in a 3% pool, you will get a total variance of 49.68%. Wanting to optimizing such a small difference is complete nonsense. PS: Ziepheiw did some additional calculations that also incorporate difficulty adjustments. They do not matter much. Also, this post is being discussed on reddit. 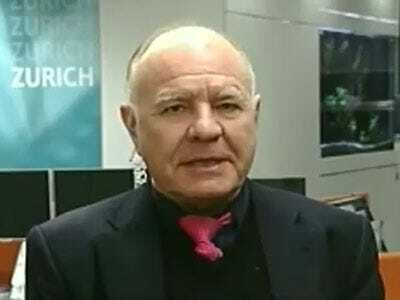 Swiss investment guru Marc Faber publishes a monthly market commentary. Along with the June commentary, he sent his subscribers a report on Bitcoin, titled "Dispelling the Myths of Bitcoin" and written by Lee Robinson from Atlana wealth. I already was in contact with Faber last autumn suggesting that he should send my report on Bitcoin to his readers - which he unfortunately did not even though he indicated interest. The report he finally attached is an interesting read, containing an excellent collection of quotes (e.g. "Every informed person needs to know about Bitcoin because it might be one of the world’s most important developments." by Nobel price winner Leon Louw) and showing various charts copied from the internet (e.g. this Bitcoin Ecosystem Snapshot). It lists three scenarios and attaches long-term values between 5'714 USD and 119'000 USD per Bitcoin. For the latter, the author randomly assumes that Bitcoin can capture 1% of the global money supply - not a very profound analysis. Nevertheless, I find it notable that Marc Faber finally decided to inform his readers about Bitcoin (without endorsing it). It is a symptom of raising awareness among investors and a good sign for the future. Finma comments on Bitcoin In a recently published guide titled "how consumers can protect themselves from financial market actors that operate without permit", the Swiss financial market authorities commented on Bitcoin. Generally, it does not contain any surprises. They see risks for consumers in its irreversibility, anonymity and volatility - which are valid concerns. They also note that money laundering laws and banking laws might apply when running a business such as a Bitcoin exchange. This is in line with our view that Bitcoin should be treated like other currencies. One could criticize their focus on risks alone - neglecting potential advantages of the mentioned properties and Bitcoin in general. But that's their mission. Regulatory agencies are created to mitigate risks - and not to identify opportunities. As other places reported, MtGox failed spectacularly and ceased operations today. Some will blame this on a lack of regulation. Nothing could be further from the truth. The main reason for this failure being so spectacular is a long history of lacking competition. Even though MtGox repeatedly faced problems like days of suspended trading, customers did not have many viable alternatives. In many countries, the legal costs of setting up a financial service website like a Bitcoin exchange are prohibitive. The Internet thrives on people being able to experiment - otherwise, sites like ebay.com, doodle.com or yahoo.com would never habe been created. I personally have repeatedly met motivated enthusiasts who wanted to setup their own Bitcoin exchanges. Unfortunately, regulation is holding them back. Had they been able to create their exchange websites, MtGox would have seen much more competition much earlier - giving customers the opportunity to diversify and reducing their exposure to a single operator. However, in an ironic twist, the very regulation that seeks to protect customers potentiated their risks by preventing them from effectively diversifying. The financial services industry is in an ongoing vicious circle of market failures that make politicians enact more rigorous regulation, which stiffles competition, which again leads to more market failures and regulation. As announced, our general assembly will take place on 2014-02-23 at Colab Zurich (Zentralstrasse 37, colab-zurich.ch). The doors open at 14:00 and the assembly formally starts at 14:15. You can find the agenda and comment on it here. In particular, I'd like to point you to traktandum 7 (as we Swiss call agenda items) "Where to spend your Bitcoins?". Send me an image/screenshot of your favorite underappreciated Bitcoin service and we'll present it at the assembly. You may also use this opportunity to advertise own stuff for sale (e.g. your car). Then, most importantly, we finally have our membership application form online on our join page. Fill it in to formally become a member! A long 10vor10 segment about Bitcoin. Well done. One of the most relevant news segments on Swiss national radio - Echo der Zeit - reported about Bitcoin and talked to Luzius Meisser. A quick introduction into Bitcoin which is well made and fun to watch. The Sunday-Newspaper "Zentralschweiz am Sonntag" published a full-page article about Bitcoin and us in their latest issue. The November 20th meetup will be dedicated to discussing our association. If you want to help shaping its future, please join us on that evening. We also plan to stream the event on Google plus. Luzius Meisser on euronews I had a quick appearance on French-speaking Swiss TV RTS as well as on euronews.